Do you hate marking up an expensive textbook with highlighting that destroys its resale value? You might be interested in purchasing a digital highlighter or portable scanner. These portable scanning devices enable you to quickly and easily scan selected text from any printed material and transport it into your computer where you will be able to format it into a readable document. Saving you time and money. One issue is that it can be difficult to scan really high-quality images, even though it has a 900 dpi capability. This is because you move the unit both very straight at a consistent speed to get optimal results. For best results you'd want to use a flatbed scanner for that type of job. If you just want to scan partial pages and text paragraphs without having to write it all down or type it- this is a good buy. You can easily accomplish this at low resolution setting (300 dpi). There is a bit of a learning curve- but once you do some trial runs you'll likely get the hang of it. One buyer said they invested in a 32 gigabyte micro SD card to store their scans and 2 extra rechargeable batteries to keep the unit powered during long research stints at the library. Let's take a look at 5 of the best-selling options on the market today and see how they stack up! The A4 sized, 1.44” TaoTronics is actually more of a portable scanner, than a digital highlighting pen. It is s a good option if you are looking to scan photos, receipts, books and anything that is flat. Its users find it very convenient while on the move, but also note that it does not scan books properly if they are stapled. The 1050 DPI scanner has a 700mAh rechargeable Lithium battery and has three different resolution options based on the clarity of your scan. 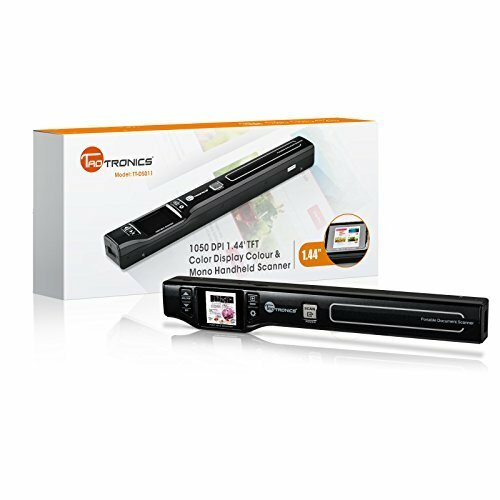 The TaoTronics handheld cordless scanner is an effective option if you looking for a reasonably priced digital highlighter that is compatible with both Mac and Windows. This handheld C-Pen digital scanner is a good substitute for the desktop scanners. It effectively and instantly scans data whenever and wherever you need it, efficiently scanning all types of surfaces. Its users love the speed and flexibility of this scanner but at the same time find it does not scan a few important symbols and typefaces effectively. The C-Pen scanner is capable of reading text in more than 238 languages, making it easier to translate and learn foreign books and documents. This handheld digital scanner is certainly a cost-effective choice if you are looking for a multilingual scanner to grab text snippets. The lightning-fast USB Digital Highlighter is an efficient choice that reads, scans and imports text via a USB interface into your computer where it will be completely editable. Its users like its effortless operation but also find that the plastic casing it comes in is of cheap quality. 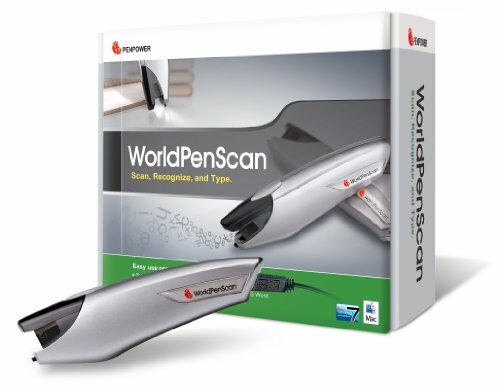 The World Pen Scanner is capable of scanning data from any media in solid state. 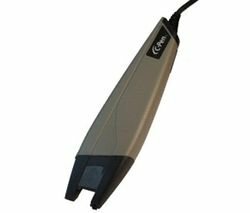 This Pen Power scanner is a solid option if you are in need of a fast and lightweight scanner at a moderate price. This 2 GB Echo Smartpen from Livescribe is a good option for a successful recording of everything you have read. Its users like the audio replay of notes feature, but note that the quality of the pen is not up to standards, as it is prone to cracks and chips after prolonged use. The Echo digitizer transfers audio and notes to your Windows PC or Mac to share, review or organize them. If you are looking for an especiall feature-rich digital highlighter, this might be the right product for you. The 900dpi, 6.9 oz., portable Magic Wand VuPoint scanner is an efficient product to scan newspapers, photos, documents and any other smooth surface in high resolution. Its users find the product a powerful one with great quality scanning, but note that the scanned pages were crooked requiring alterations. 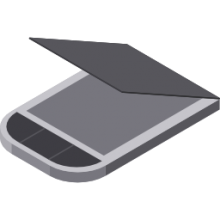 The scanner is compact and portable, and runs on two AA batteries eliminating need for a charger. 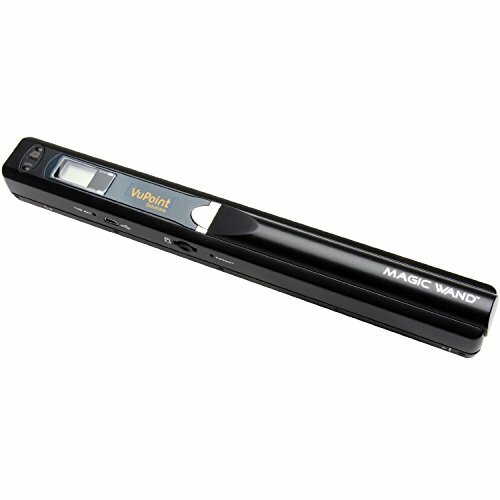 The Magic Wand scanner is a good option if you are looking for a battery-backed portable scanner with adequate scanning features. Digital highlighters work through optical character recognition- all you have to do is perform a brief sweep of the digital highlighter and the text will instantly appear on your computer in an application. Since digital highlighters are powered by the USB that connects to the computer, it never runs out of power and you don't need batteries. People that purchased the C-Pen Report up to over 96% accuracy. Many people use them to scan quotes from business books that they've read as well as students heavily invested in scientific literature to create useful study guides for themselves and their friends. Set up for the C-Pen, for example, is pretty simple- all you have to do is plug it in, get the downloadable drivers, and it will start working right away. One common concern that digital highlighter users sometimes have is whether the pen will mark up the book. Based on user feedback that we have analyzed, this is not the case with these handheld scanning pens- they do not mark up the text book. 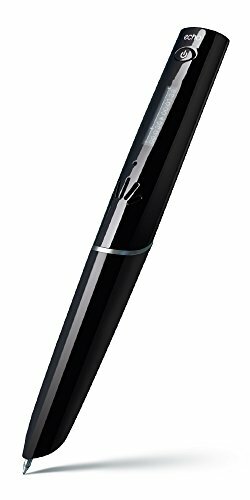 It does take a little bit time to get a sense of how these pens work-once you figure out the right speed to use, scanning becomes pretty simple and you will be able to seamlessly scan all of the text information you need right into your computer. Digital highlighters and portable printers are equipped to scan data from a variety of different surfaces and then port it into your computer. This is an efficient way of copying information from business cards, books, contact sheets or any other type of printed material without doing burdensome and repetitive manual data entry. Another advantage of using a digital scanning pen is that instead of marking up an expensive textbook with yellow highlighter, and not being able to sell it back a good price to you our university bookstore, you can use the handheld scanner to create compelling study guides on your computer and then print them out. Another advantage is that you are able to select the exact portion of text that you would like to copy, instead of using a desktop scanner that would capture the entire page of information. Digital highlighters and handheld scanners are equipped to work with a variety of different languages including Armenian, Croatian, Latvian, Greek, Hungarian including languages with Cyrillic or Greek characters, truly any language in the world that you can think of. Digital highlighters are equipped to work with a variety of different word processing applications and operating systems- though you should verify that your operating system is supported when examining the product page. For example, some digital highlighters don't run on Linux. If you're interested in purchasing a digital scanning highlighter pen or a portable printer, read our reviews above and choose the best option for you. These are affordable, time-saving gadgets ideal for the student looking to make attractive study guides, or the corporate professional speed-reading through a stack of business books. Whatever your need, digital scanning technology can make your life easier.